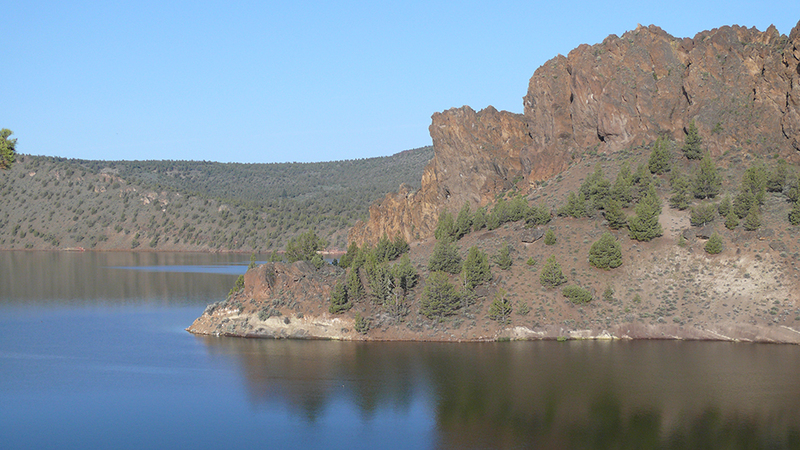 If you enjoy scenic beauty, camping, and water recreation, you should probably check out Prineville Reservoir State Park. Mountain waters flowing out of the Ochoco Mountain Range join to form the Crooked River, and the river, confined by its canyon and the Bowman Dam, forms the 15-mile long, 3,000-acre Prineville Reservoir. Here, you’ll find fantastic opportunities for waterskiing, wakeboarding, windsurfing, paddle boarding, kayaking, hiking, star gazing, and wildlife viewing. Fishing is pretty great year-round and the lake supports rainbow trout, small and largemouth bass, catfish, crappie, and crayfish. Local tip: If you want the biggest fish, come during the winter months. Prineville Reservoir State Park has numerous primitive camps along its 43-mile shore and also maintains two developed campgrounds, many with full hook-ups, electrical, and water. Flush toilets and hot showers are also available for campers in these campgrounds. For a cushy camping experience, reserve one of the five pet-friendly, deluxe log cabins. However you choose to enjoy this oasis in the High Desert, fun and stunning scenery are waiting for you.